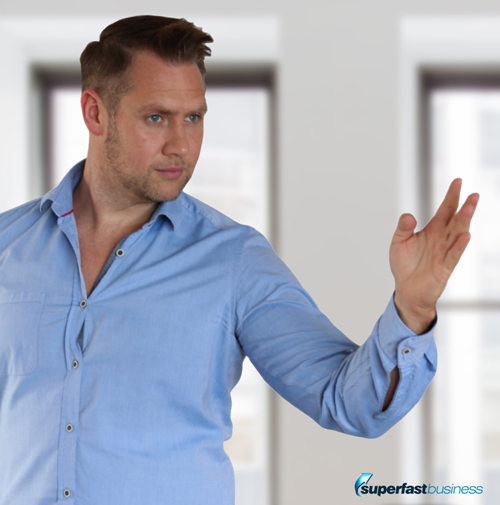 If you've never heard of Zapable's Andrew Fox (and even if you have), this episode will be a fascinating introduction to one of the most striking personalities in internet marketing. James: James Schramko here, welcome back to SuperFastBusiness.com. This is episode 576. And today, we ask the question, Who is Andrew Fox? And to answer that question, I brought along a special guest whose name, coincidentally or not, is Andrew Fox. Welcome! Andrew: Thank you, James. It’s great to be here. James: It’s such a privilege for me to talk to you, Andrew, because when I first went online, you were a name that stood out for me. There were guys like you and Andre Chaperon were early influences. There was Perry Marshall, there was Jonathan Mizel, there was Yanik Silver. But you were, I think, just emerging in my world as an affiliate marketer. You had very convincing campaigns and such a great accent to listen to. I learnt a fair bit about email marketing from you and you probably don’t even know that. How far back I’m talking about, I still had a job. This is probably 10 years ago. So first off, I want to say thank you, and it’s just so great to be able to catch up like this and to have a casual conversation, talk about a few topics that I think will interest our listeners and we get to share some ideas. So thank you for coming along. Andrew: James, thank you for those kind words. You know what’s incredible about that, though, is one of the guides you referred to was called the Guru Slayer. That guide is now maybe nine or ten years old and I still get people coming up to me every single event they attend, saying, “Hey, I got your guide, it really helped change e-mail marketing.” I mean, Alex Jeffreys is one of the people who said I was the person who helped them shape email marketing from that one guide. And Peter Parks as well said that that was a very influential guide on learning how to segment an email. So it’s great when you put out value in the world and 10 years on people are still talking about it. I mean, that’s awesome. James: Yeah, it was amazing and I remember that product clearly. I was promoting that product as an affiliate. And I remember doing my website, I was owning some real estate on Google for it – this is what I use to do. I was actually a nemesis of Peter Parks. Him and I were always competing for the top spots in any affiliate launch. I remember I was still in my suit and I woke up the morning that the launch was on and I hopped in my car, went off to work and I came home to see how much money I’d made and I’d hardly sold anything. It was like, really early days for me, and it was brutally devastating to realize just how hard this business can be. But I do remember how well you went with it and how well some of the other affiliates went and it was inspirational at the same time as being a little bit disappointing. But it was those tough blows that I think helped me build a discipline later on to come back into the market and really give it a shot. One thing I do remember back then, you had an affection for motor vehicles, and I think you still have a passion for cars to this day. Andrew: Oh yeah! It’s like my nemesis and vice. You know I’m a petrolhead through and through. And I think that’s part of the reason James we hit it off well is we’re petrolheads. And obviously, you come from an automotive sale background and I think I read in your story about how your father was into cars or how you used to tinker in his garage. And I’ve had Ferraris, Porsche, McLaren… no Lamborghini, not that so far. But yeah, I’ve had some amazing cars. And they’re just, you know, I really resonate with them. One of my favorites at the moment is the Porsche GT3, it’s such a good driver’s car and the noise. And actually this year, I think I’m launching some of my first, like, mastermind car events. So that’s should be pretty exciting, I think we’ll get a pretty good turnout from that. James: Those things are fantastic. I used to go to AMG drive days when I was with Mercedes-Benz. We went to BMW drive days. We used to go to the track. They would have professional drivers. We even had at one of the track days at Eastern Creek, we had helmets and intercoms and a driver in the car with us. We were driving, they would intercom with us, talk us around the track and we’d try and get the fastest times. I remember doing Eastern Creek, it was like, one minute 59 in an AMG. And when we did the customer days, they actually banned the staff from competing in the different elements, the witch’s hat slaloms and the skidpan, because we were getting too good in the cars. We were getting so familiar with them, we could slay the customers. But one thing that stands out is the cars are capable of a lot more than the average driver will ever tap into. And one of my dear friends and super customers is Adrian Crawford, and he’s got that Porsche dealership in the UK and he’s now driving across the snow in Europe on these challenges. And he’s using these classic cars, especially Porsches, the way that they were intended to be driven. So if you have an exotic car or a great car, make sure you drive it. Andrew: Yeah, absolutely, James. I mean, sometimes there’s these collectors, nothing wrong with that, but they kind of get nicknamed garage queens because they store these cars and they’re always about, ‘oh, I don’t want to affect my investment.’ But you know, typically a car is an investment. Yeah, with certain models, you can make good capital appreciation. But until that point, unless your monetizing through a thing, like a mastermind with a car, you have to pay insurance, tax, pay those costs. Sometimes I think people get a little bit blindsided by it, but ultimately a car should be for your enjoyment first. And then if you can monetize by doing masterminds or a day in your car or whatever it may be, that should come second. That’s what I think, anyway. James: I saw a collector’s motto the other day, and I love this one: “Buy high, sell low. Enjoy the ride.” Now, he’s going into it eyes wide open. Now as much as I’d love to talk about cars all day, and they’re a great little passion and a side thing, you’ve got a few different interesting things cooking at the moment. One of them is software. I’d love you to just share with me a few lessons that you’ve learnt along the way as you’ve built out your software business. I think it’s called Zapable, and I’ve bumped into some of your customers who have become my customers as well. Some of my SuperFastBusiness members are Zapable customers, and they’ve been going out and building a business around your platform. What has been some of the critical lessons that you’ve learnt as you’ve built this empire? Andrew: Yeah, absolutely. So basically my brother, Chris, and I, we’ve worked to oversee several projects together. Chris is excellent at managing software development teams and obviously having an eye and a passion for detail. Primarily, I’ve been sort of the marketer, sort of positioner of getting word out for the product. I’ve done that across many products. And a bit of software in the bigger picture was, I believe, James, that there was such potential to build a great software company and obviously down the line you can exit for some very incredible sums of money. But again, that’s kind of a byproduct of obviously the amount of sort of product value and service – if the product doesn’t work or doesn’t get users’ great feedback. So to circle back, we launched Zapable. I think it was the end of March 2015. And when I hear things like, you’re holding local events in Australia, I’m based in Ireland, and you’re telling me that people are coming up to you in Australia and saying how much they are enjoying the service and how it’s helping them build mobile apps, that’s awesome. You know, we’re spreading around the world. So yeah I mean, software, where do we begin? Bear in mind that the difference between software and infoproducts is software is a very fast-evolving enterprise. You can’t just build it and let it sit. If you build it and don’t constantly RnD, survey your customers, look what they’re doing with the software, listen to the good things and the bad things, you know, “We think your design could be better. We’d love to see this feature…” Engage in the community, and that will give you some great feedback of the direction you want to take the company. Also, I’m always a big believer, James, and I think we share the same ideology, sometimes people go for venture capital and they map out this great big business plan. We’re going to do this and we’re going to allocate this much money here and we’re going to launch then. I’m more about, let’s get a prototype of the product and almost presell it. And that’s how we actually built the company at the start, James, was we got a version up and Chris and I put in about, it must have been $8,000 to $10,000 to get a working prototype, totally basic. But we released a pre beta. So we said, ‘Hey, you want to join this app builder?’ And back then, this was about four years ago, before it became Zapable, it was like a different version of it. We said to our existing customer base, ‘Would you like to try our new app builder?’ And we were able to generate some immediate cash flow. You know, around $5,000 to $10,000 recurring a month. But because we had the $5,000 to $10,000 recurring a month, James, we were able to reinvest that back into the business to then grow the software. So, rather than just have this big business plan and all this venture capital and book through all the pain, we basically started, let’s leverage our existing assets, our existing customer base, get the software and get a prototype and start selling early. I mean, James, if you want to touch on that as well, people procrastinate too much to build a perfect vision, but you can actually pre-sell stuff and it’s a lot easier and safer that way. James: Absolutely. I mean, I’m getting these themes coming back, in a lot of the podcasts that I’ve been doing lately, and that is to talk to your existing customers. They are a gold mine of information. They have challenges and problems. What are they already buying? What are they trying to solve that they don’t know how to? Listen to them, observe them, put your research and development hat on, engage them, and get going with a low-resolution prototype, put it on a recurring business model and then reinvest that recurring back into the program. And of course, if you pre-sell it before you go and build too much, you’re not going to create some Frankenstein that then you turn your attention to try and sell. You know, that’s the common mistake that I see – people create something and then they try and figure out how to sell it to people. They should absolutely start with the customer, right? Andrew: Yeah. And James, just to jump in, there are two things I want to bring up, because I think I can share some great value and avoid some deadly pitfalls of software. First of all, it’s from your book, actually, the low-resolution version. That’s awesome, because it’s creating this kind of rough version. Because you’ll sort of know early. A product doesn’t need to be absolutely perfect and polished to work. The market will kind of let you know if they like it. So it’s probably functionality first above beautiful design. That’s awesome. And secondly, this is the process that I personally used many times over, not just for software but infoproducts. So go to services like either Clickbank.com or JVZoo.com. And what you can do is you can go to their marketplaces, and you can search products, say on a particular niche, whatever industry you wish to enter, and reverse-engineer the competition. So what I mean by this is, say when a magician is doing an act, what they always say is, you have to look at his hands, don’t look at his mouth, because you can often see how people are running their businesses by looking at their processes. If you see a good vendor on Clickbank and you know, their gravity score is high or their popularity is high or their sales volume is high, get on their email lists, look at the marketing they’re doing, look at their sales copy, and see how it’s selling. And to circle back to Zapable, when we launched it on JVZoo.com, what we did was, I could see on the market that there was two to three other app builders, and they were doing pretty well. They’d sold like 4000 units at about $37 a month each. So my thinking was, that’s part of the commercial validation that this actually will work. But I knew, because obviously I’d better sales copy skills, we had a better affiliate base, I was confident we could get the word out there. You know, we could just do everything better. But validating the market, James, was going to these sites, reverse-engineering the competition, not just coming out of the blue and saying, ‘Hey Chris, let’s build an app builder.’ You know, Chris suggested it to me, he says, “An app builder, I think, is the future of where business is going.” And we went and followed this process to help validate the market. So I think that’s a great tip for someone, is use your competition for your intelligence before you dive in. James: Yeah, see what they’re teaching you before you have to spend your own dime. I think potentially Russell Brunson did quite well with that approach, seeing what’s out there and then coming up with his own software. And I recall John Reese mentioning something to that effect, that people are giving you clues. They’re leaving you lessons all the time that you can observe and just see what people are already buying as a starting point. Andrew: Yeah, like reverse engineering is the smartest thing you can do. For example, you see name XYZ doing well. Well, you know, first of all go and look at their Instagram, go and look at their Facebook. What kind of posts are they writing? Who are they engaging with? What events are they attending? Are they advertising on Facebook? Enter their sales funnel, see how their emails are. And you can actually get for free a lot of competitive intelligence on people. And I mean that’s what people do, and me, James, as well, and I’m sure it’s what people do on you. They look at the James Schramko business model and sort of go, ‘Hey, what’s this guy doing?’ And there’s nothing wrong with that at all. It’s a smart way to be. I mean, Peter Parks is also, he’s a master at that. He loves to reverse engineer what his competitors do. James: Yeah, well, I’ll tell you some of the really smart ones pay me to help them to see under the hood. Ezra Firestone comes to mind. When he came to me, he was doing six figures a year and he said, I’ve got this domain, SmartMarketer.com. Can you teach me to do what you’re doing with SuperFastBusiness.com? And combining that with his e-commerce store, he’s now up around the $26-million-a-year mark. So he’s been a very successful practitioner of hunting down someone who knows what he would like to earn and then paying them. Now, I’m not sure what the relationship is between you and Com, but it seems like you spend a fair bit of time hanging around billionaires these days. Andrew: Yeah. The story with Com was, you know, Com’s obviously, I don’t know his exact net worth now, but let’s call it $500 million. It’s around that. I met Com at an event. Again it shows, when you go to an offline event, whatever it may be, you don’t know exactly which one it will be, James, but as long as you get out there and mingle, and network with people, magic will happen. And I think this was October 2013 or 2014. Yeah, 13 or 14. I can’t remember the year, but I went to an event called… I’ll actually give you the backstory to it. I had already been in America, and I’d flown home to the UK. It’s a long enough flight. I’ve seen this event called Affiliate Millionaires by Greg Davis. And I knew the premise would be about CPA marketing. And you know, I’m familiar with the marketplace, and it’s not something that I wanted to actively pursue. But something inside me emotionally, like an external force was telling me to just go to this event. It’ll be good. So I just thought, you know, I’m going to trust my instinct. I got on a plane back to America. And it was actually Dave Mizrachi, another online friend and marketer, he’d suggested to go. So we headed up to the event. So what we ended up doing was we connected on Facebook after. We just had a good vibe. And Com said, “You know, I can see really amazing potential in you to go on to great things,” And he invited me out to Dubai for his first ever, he called it the Billion Dollar Mastermind. And we just forged a really, really good friendship. Since then, Com has invested into some ventures with me. I’ve also invested in to some investments that he has on offer. And you know, it’s been a really good experience and he’s been a great mentor and friend to me. So it’s just been a very positive experience. I’m a massive believer, James, in aligning with the right people, putting yourself in an environment, because I remember the biggest shortcut was, obviously we were just launching Zapable in about a year’s time from then, and I wanted to build a software company with my brother Chris and exit it for $50 million plus. The biggest shortcut to doing that was, Com had sold some software ventures for some really good money. So just like what Ezra did to you, with his business, James, I went to Com and thought, you know what better way than to align with someone who’s done it before, and I trust? Because there’s a lot of smoke and mirrors out there in social media, you don’t know who’s kind of full of crap and who’s not. But I had to go on my instinct that Com was genuine and real, and like I said, it’s paid off like many times over. It’s been a great experience. James: Very good. So, live events, aligning with people, finding out which ones you can trust and leveraging the experiences of people who’ve already done before what you’re trying to do. Andrew: Yeah, yeah. Completely. Because the most dumb thing you can do is just go off on a tangent and and just to say, like, “Oh, this works and this is right.” Look, there’s always going to be a learning element to business. We’re not going to get everything right. But the quickest path to success, the path of least resistance, is to study successful people, what they’ve done, and see the model that they’re using. That’s a great bit of advice for people. James: You used the term before, which I thought was interesting, you said “deadly pitfalls”. That kind of reveals the copywriter within you. You have very seductive words, Andrew Fox, who did you learn copywriting from? Andrew: Oh, that was amazing. This is a quite crazy story. So, I got these internet marketing, like, it was seminar tips from Corey Rudl, the Internet Marketing Center. He was one of the first pioneers of internet marketing. I bought these, these were my Christmas present from my parents. I was literally 20 years old and you know, there were seminar videos of him teaching a seminar in London. And they were talking about affiliate programs, email marketing, copywriting, so you know, the basics of online marketing. And I sat and watched these videos on Christmas day. So everyone was eating turkey and talking about life in general. And I didn’t care about the turkey. I was just watching these videos going, ‘Oh, my. I’m going to be rich. I understand this, like I get this.’ And one of the elements within Corey’s course was obviously copywriting. But the two other resources, and again, these still work great, was Yanik Silver, I think he had a course in copywriting, that helped me immensely. So Yanik Silver’s course, I can’t remember the name of it, but he had a course and it was really good on copywriting. But the two other resources that I would recommend, Marlon Sanders, I think it was Amazing Sales Formula, if you just google that, I’m not sure if he still sells it. But it was incredible. I learned a lot of copywriting skills from that. And then the third one was John Carlton’s, I think it was Simple Writing System. And I suppose I had a natural tendency to, you know, I aligned the words, copywriting. And it is one of the most valuable skills that you can learn. I suppose learning to drive paid traffic and then good copy to convert as well as understanding how to research and develop a product. They’re probably three of the most important lessons that I’ve learned online. James: I hardly ever see someone who is super successful who doesn’t have a strong understanding of copywriting or selling. And one of my favorite guests back on this show is John Carlton. He was the number one podcast, the first one that we did on SuperFastBusiness, and I’ve had him back recently, actually, and I was so lucky that he sent me Simple Writing System years ago. He’s got that in-the-trenches experience, and it’s a great foundation. But I do notice that anything that you do seems to go quite well, because you’re able to put it in its best light and you understand how to move people forward. It was way back, it was 10 years ago in your email products, and it’s still here now in everything that you touch. Do you ever release a product or a service that doesn’t go as well as you thought? Andrew: Yeah. I’ll touch on one in a second, James, just one more resource. 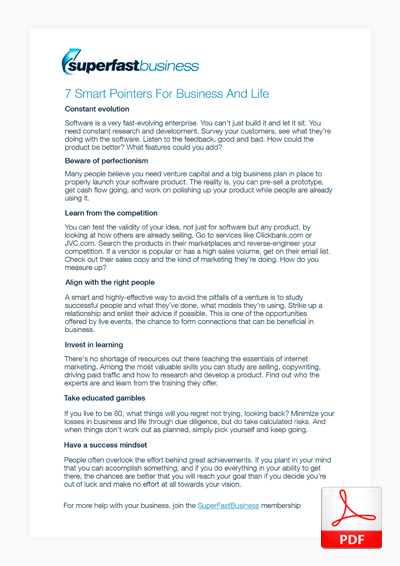 I remember Yanik’s course, and it’s super cheap as well – it’s InstantSalesLetters.com. It’s excellent. I think it’s maybe like a hundred dollars or cheaper, but well worth buying that. That was amazing. Fill in the blanks. But yeah, our products that don’t go as well. I mean it’s amazing, James, because people have always said to me, like, you just seem to have the Midas touch, whatever you touch works. But that’s because of an understanding of researching and developing the market to the methods I shared earlier, writing good copy and making sure it converts. So say you have affiliates promoting a product, you know that it’s going to convert. But yeah, I mean, along the way, not every…. The way I like to say it is, it’s like a songwriter or or a footballer. I know this is a strange comparison, but when they release great music, not every single is a number one hit. Some of them just take off, some of them they have a gut instinct that it will do well, and some of them do flop a bit. So I probably have my share of some products that you know, haven’t went as well as I thought. But you just have to pick yourself up and get on with it. And sometimes, I have a great saying in life is, you have to weigh up in your life. Sometimes there’s a greater risk in not trying to take the risk at all, where you just have to give it a go, and you have to say, hey, you know, it’s the Jeff Bezos theory from Amazon. He did this reverse analogy, I’m not sure if you’re aware of this, James, but he said, look back when you’re 80 and look back on you know, will you be angry at yourself if you’re like, I didn’t try that, I should have given that a go. And I’m more about trying to take educated gambles and risk something to try and do it than just puttering along in life. I think it’s a lot more exciting that way, and I don’t think you’re going to look back. You know, when you, touch wood, I live to eighty or a hundred or beyond, who knows? I live forever. But I want to look back and say, I gave things that I wanted to a go, which is kind of why I do the Porsche track days and I try to empower and help and share with entrepreneurs and obviously build a great software company with my brother, Chris. So that’s kind of been my analogy in that. James: Yeah, you probably read in my book, I have that saying, “Are you leaving life on the table?” Because we don’t want to tiptoe through life to get to death safely, like not take risk and not explore things and not do things just because we’re worried about what could happen. The worst thing that could happen is we do nothing and we’re just boring people, and we’re just old fossils sitting there in a home thinking, ‘Oh, the things I should have, could have done, would have done…’ No regrets, right? Andrew: Yeah man, like, it’s paralysis analysis. And you know what’s interesting, is a lot of my friends, like local kind of high school friends, they all sort of speak to me in private conversations, and a lot of them actually say, you had the like the balls to go out there and do it. You trailblazed the way while when you were young, you just, I was basically… I have a very thick skin and a very high tolerance of rejection and pain to the point where you know, I got a quote, I’ll steal it from Com Mirza, was, “No just means not yet.” So if someone says no to me, or they think that’s not right, I go, ‘Okay, let’s let’s go in with a different angle of attack.’ I’m like a pitbull, man, I’m relentless. I just even think of rejection or anything as a learning experience. It’s just a mindset I have. And this has kind of been, I think I’ve had this… Like I used to wash cars, I was 19 years, old washing cars for five dollars an hour. And you know what I told those people, James, I was washing their car and rubbing the sills, and making them all clean, going, “I’m going to get a Ferrari.” And they’re like, “Oh.” And probably 80 percent of the people thought, “This guy, he’s loony tunes, he’s nuts.” And probably those 10 to 20 percent, “Well, you know what? I think you might just make it.” And lo and behold, it took me about six years, but I got my first Ferrari. In fact, I bought two Ferraris that year. So dreams do come true. You can do anything you want in life. You’ve just got to have a positive outlook. You know, try to minimize the risks the best you can, again. Research your product, hang around with the right people, develop skills in education, develop value that you can give to the world. But yeah, and you’ve got to have a good, solid mindset as well. Life’s too short to not go after what you want with everything. James: Do you think you have to factor some sort of preference to things that you might be predisposed to? Like, for example, could you really win a gold medal in a 100-meter sprint at the next Olympics if you really want to? And I don’t believe Cristiano Ronaldo without that belief and that passion would have went on to become what he was without that. Where Messi is a more natural footballer, Ronaldo had the talent but it had to be nurtured and he had to give it his 110 percent. And I think that’s the thing with athletes and stuff where, love or hate them, some famous athletes, they have all this fame and glamour, but people don’t see the sacrifice and the sheer commitment and and all the heartaches along the way they’ve had to go through. And it’s kind of like online business as well, or any business. People see the flashy things and the rewards, but they don’t see the battles that you’ve been through along the way. And that can be anything in life, James. Life throws up a lot of things. It can be from relationship meltdowns, it can be business goes wrong suddenly, it can be from doubts in the family. Life can be challenging and hard, but it’s how you interpret it and how you deal with that that defines you going forward. James: I was looking at my podcast analytics today, and there’s an episode that’s been listened to more than 100 percent, which I presume means people have listened to it many times. And it’s an episode with a mindset coach, Nam Baldwin. And he’s talking about that, how to deal with setbacks, because he coaches Olympic athletes. And thanks for explaining that. I know I was being a bit cheeky with my hundred meters example. Maybe we can’t be an astronaut; maybe we can’t win gold at the Olympics. We can certainly beat someone who never straps on the trainers and tries. And there’s still ways. You might be able to go with Elon Musk one day, instead of through NASA. So there can be a side way to do something if you really want to. So I actually shared a lot of parallels with you. I remember when I was 23 or 24, I was moving a Dakar Yellow M3 around the showroom at BMW, and I told the detailer, the car washer who puts on the number plates, I said, “I’m going to have a car like this one day.” And he just snickered at me. I don’t know if it’s snickered or sniggered. He sniggered at me. Snickers is something you eat. Anyway, he didn’t seem like he was very confident that I would actually achieve that. And you know, it was years later that I did manage to buy my performance car and switch sides of the desk from the person selling it to the person buying it and owning it and driving it. But I do remember locking in that feeling of me looking into the reflection of the window back at the car with me in it, thinking, this is going to happen. And every single morning when I was opening the cars on the car yard, this is before remote control keys were prolific, I would actually put the key into the barrel of the door lock and I would turn it and I’d say, “I’m the best.” And then I’d take the key, put it back on the keyboard, get the next key, walk up to the next car, and do, I’m the best. Then I would open and close every single car on the lot every day and anchor that belief and I think it was Brian Tracy material that was helping me with that. And I firmly believe that this mindset aspect is a huge part of success, as I believe you’re telling me now it’s been a big part for you as well. You just knew that this was going to happen and no one’s going to get in your way. Andrew: It’s crucial. Like I said, like I’m a pitbull. I’ll just go after things. I don’t care. I will not fail at anything that I put my mind to. It’s just, you know you have to go forward. And I’ll circle back to you in a second, James. I’ve got quite a good question for you. So that could have potentially broke him or fired him up, and it fired him up. And you know, it took him… Jenson actually was, he was holding the record for having the most Formula One appearances without winning a world title. It’s a bit of a strange one, but he got there in the end, and he won that world title. But it took so many years of perseverance. So circling back to you, James, do you think when that detailer, and you said, “I’m going to own this car,” and he kind of sniggered at you, do you think they’re kind of like a lit a bit of a fire inside you, you thinking, you know what? I’m going to prove you wrong. I’m going to show you I can do this. James: You know, it was curious to me, but at the time I had bigger fish to fry. You know, I had a baby on the way. I had to double my income. I had no chance of quitting the job. So it was kind of more of a personal escape dream for me that it’s all going to be worthwhile. And I’m not the guy who you could take along to the pub and peer pressure into sculling a pint of detergent or something like that. I don’t respond to that sort of cajoling like other people. And this really comes down to internal or external motivations. But I’m not the guy you could say, “Oh, I bet you can’t do that, go on, I dare you to.” I’d say, “Well no, I’m not going to do it. Too bad. I think I know what you’re talking about with Jenson, though. He was motivated to prove his father wrong. And I think that that is definitely a driver for some people. In my case, I think most of the things that I achieved were a response to the external situation that I was placed in when my family went from fairly wealthy to fairly poor. And basically, I just remember that moment when I realized we’re not rich and I’m going to have to do this myself. It was such a disappointment. You know, that silver spoon got yanked out of my mouth and I know how hard my parents worked to send me to private school and we lived in a lovely home, and it all changed very quickly. And I had to go out and get a job and do things for myself. So I became responsible at an early age, and then having kids just puts you into a one-way street and there’s no turning back. You just got no option. And it was only, I think really, realistically, maybe five years ago from now, where I’ve finally passed that big stretch of pressure and came out the other end. You know, I think I was debt-free from about eight years ago and I now have time abundance and wealth abundance beyond my living costs and that’s put me in a different situation now, where life has taken on a different purpose. So now I am very conscious of what’s motivating me. And just before this call, I paddled out into some pretty big waves today, and it’s so exhilarating to take on those challenges of my own free will, not because someone dared me to, not because I want to prove that I’m better than anyone else. And that’s the fascinating thing. I was so competitive in the car industry. When that sales leader board was there, I wanted to win. I wanted to lap them. In fact, a couple of months I sold more than all the other sales people combined. I was just in a different class. And that was definitely helping me build confidence, and it fed my ego at the time, but I really needed it because I had no fallback. No one was going to bail me out. No one was lending me money other than the bank. It was like massive responsibility, at such a young age. You know, I was like 24, having that first kid, and then we just had four in a row every two years, a kid would come out, and it’s not cheap or easy. You know, you’re suffering on the sleep, you’re working a little bit harder than you want. So that’s why I’ve come out at this phase of my life say, you know what? You don’t have to hustle. You don’t have to grind. You don’t have to walk around with black eyes where you’re getting lack of sleep. You don’t have to keep pushing once you reach a point of comfort unless you want to. Don’t do it because you had a bad parent or because you’re trying to prove something to the world. So I am actually less competitive than I’ve ever been at any stage of my life. Now I’m pursuing things that make me happy. But I’m also doing more creative work. I’m getting better results. People tell me how much younger I’m looking, and how much more I’m smiling, and I think I’m a better person to be around, because I’ve basically tuned in to that flow of what I want to do. I’m resistant to take on a traditional corporate goal. Someone else’s goal is not my goal. I don’t need to have a degree or a doctorate to feel special. I don’t need 10 million dollars in my business to feel like I could walk into a room and have people pay me respect. It’s a hard one to explain, and I’ve definitely changed from one to the other over time. But you’re probably younger than I am, Andrew, and you might go through some changes, too, in the next 10 years. Andrew: Yeah, James. “Each to their own,” is what we say. I just, as I said, I have this incessant fire in the belly. It’s just been from probably forever. James: It just is. It’s like my friend Seth Ellsworth says, you know, the lion eats the deer and it’s just what it does. You don’t have to apologize for it. If you’ve got that hunger and the fire, harness it. It’s like I have that passion and bug for surfing. Nothing’s going to get in the way of me having my surf because that’s what I want to do. And I’m so excited about it and interested in it and that’s how I align things around that. And that’s why I produced that book. I’m saying to people, you know what? You’ve got a choice. Dial it. Wherever you want to be on the spectrum. You can be, you could be the four-hour workweek, or you could be the Gary V or somewhere in the middle, like I think I probably am. Andrew: Yeah. We’re talking a lot about cars, but like I said, I can see parallels between them. Let’s look at two Formula One drivers super successful in their own right, and the two character types. You had Alain “The Professor” Prost, and they had Ayrton Senna. And obviously, you know Senna won, was it three titles? Prost won four. But they were on the same team, James. And Prost would do, he would mathematically do what it took to win. So let’s say he’s in the race and there’s 10 seconds. He’s 10 seconds ahead of his opponent and there’s three laps left. He knows that he doesn’t have to push the car, because he’s going to comfortably win the race okay. But when Senna was ahead, this is what Senna did. Senna even openly admitted he didn’t want to beat his teammate. He wanted to decimate his teammate. So they’re racing around Monaco, because he just wanted to show he was the best, like he was so much better. And that was just Senna’s internal belief system. Under a race they ran in Monaco, James, he was 50 seconds ahead. Fifty seconds, OK? He could have, like, put the car in reverse for a while and still beaten Prost. But even over the radio, they were saying, like, Ayrton you’re super ahead of Alain. You can chill out, you can, like, coast. You don’t need to do it. Senna didn’t respond. He just won’t went around the track faster and faster and faster, and with about two or three laps to go, guess what happened? James: He ran off the track. Andrew: He crashed into the barriers and Alain “The Professor” Prost just sailed past him and won the race. And Senna didn’t speak to anyone for about a week in the team. It was hilarious reading it, but that was just the two personalities. And I think that’s a good analogy in business, both successful World Champions, very world renowned, great drivers, but they both have their own, they have their own internal drives and methods. James: Yeah that Senna documentary is fascinating, and I read his book. He would just drive to the absolute limit no matter. He would hate the rules that have been in the last few years, we have to conserve tires or fuel. I reckon he’d just run the thing out of fuel and burn the tires anyway. He was unmanageable in that regard, which is what’s made the sport quite boring, is all this calculations and strategy and scheming. But the other thing is, people aren’t dying as much, which was a big problem for Formula One, right? It is a great metaphor. Like, a lot of people are doing the equivalent of a business death, where they’re experiencing massive burnout, fraying relationships right to the end and past it, doing great things, being this bright spark and then disappearing off the face of the earth. So I do think that it’s been really interesting talking about the different contrasts and to observe you out there chasing your passions, starting up a car channel, and you also blending business and cars like I’ve done with surfing and business with my Maldives mastermind. You’re doing a project I think you call Go Foxy, and it’s fun to watch. I love seeing that passion and the energy and the fire in the belly and helping people along the way. So congratulations for doing that and for helping others and for coming along and sharing these ideas. Andrew: Yeah, thanks James for that. And yeah, the GoFoxy.com, I’ll just give you a bit of background on that. So basically for years upon years, I haven’t really released much info training, even though I’m very capable of teaching and breaking down things in an easy-to-read fashion. But the only real products I’ve done, since the Guru Slayer, there was a product called Affiliate Millionaire from 2008, and then I did a bit of teaching on product launching in 2014 with Peter Parks and DNA Wealth Blueprint. But I’ve more actively pursued my talents into building the businesses rather than teaching how to do it. However the demand has always been there. You know show me how to email market, show me how to copyright, show me how to research, show me how to get partners and a way to send traffic. So I basically decided to put all of this together in a member site called GoFoxy.com which will be like an entrepreneurs’ membership club. It’s just going to be a really good community of people. I also believe in the power of attraction. So in this site, you know, I will attract the right people in, and within that community people will network and learn off each other while I obviously lead the way with various teachings and things and obviously interviewing some some great business people. Hopefully you’ll be one of them, James. So I’m really, really looking forward to doing it. That’s going to be very, very exciting, definitely. James: Well, you’re going to have a lot of fun with that. That’s definitely in my wheelhouse. That sort of project’s the thing that I’m involved with all the time and a good one. I think it’s a smart solution. That’s the one I chose for myself a decade ago, because I like looking after people, as you do too, and sharing good stuff and seeing them go well. It gives you a good feeling of worth and value. So gee, we’ve talked about a lot of things. We’ve talked about cars and software, your early days, what’s coming up in your future, some marketing cornerstones, some absolute essentials. This has been really fun discovering who is Andrew Fox and I’ll put a link to Zapable in the show notes. This episode will have some notes that go with it. You can get the transcription and some other notes at SuperFastBusiness.com, Episode 576, Who is Andrew Fox? Foxy, you read my book. Did you like it? Andrew: Dude, it is awesome. I think I’m up to about page, maybe is it 80, 90 so far? James: You’re in the good bits. Andrew: Yeah. By Chapter eight, nine, maybe, just when you’re bringing in teams and stuff, just around that section. Dude, I’m going to read that thing three times over. I think it’s one of the best books I’ve ever read in just don’t make things complicated, make it simple and don’t be a busy fool. You know, be efficient with your time. I think it’s really good, James. And to give you an idea, I’m reading that alongside, just finished Jenson Button’s biography. I been reading it alongside Richard Branson’s Finding My Virginity, his latest book, and I’m kind of putting down Richard’s book and going, yeah, I want to go back to James’s book. James: That’s crazy stuff. But it’s funny, when I look on Amazon I see my book there with Richard Branson’s book and Timothy Ferriss’s book and I’m thinking, wow. You know, like you said, if you want to do something, you can. You can be in the same marketplace alongside billionaires and superstars within an industry. It’s out there to get. I hope this episode has inspired. Thanks for joining us and I hope you’ll come back and talk to us again in the future and give us an update on the next chapter of the Andrew Fox life as it’s unfolding. Andrew: Yeah absolutely, James, and I’ll just add on as well, what we’ll do James for your customers, our listeners, if they want to actually get a membership to Zapable.com, we’ll give them a special link and I’ll throw in some special bonuses. I’m not going to reveal what they are right now, but we’ll put them on the page and we’ll make sure that your listeners get some extra bonus if they want to get into the done-for-you mobile app-building space. James: Well thank you, that’s very kind. We’ll put that at SuperFastBusiness.com/Foxy. All right. James: Thank you. And have a good rest of the day. Andrew: OK thanks for having me. Thanks to everyone listening. I hope you got some good value and wisdom. And just chase your dreams, go after life. Life’s too short. Just go and do it. Take action and have a lot of fun.